I've been gone for a minute now. First post since January 2nd, and I apologize for the lack of hot music. But I guarantee that this will keep you warm on a cold january night...And to celebrate my return to my online home, I bring you the first jam behind the jam behind the jam. Three takes on one song, but I'll leave it up to you to decide which one is the hottest. While the sample of today's jamandahalf isn't as obscure, check the progression of how this jam sampled a jam which covered a jam. Although sharing some qualities, both Fashawn and Billy Paul add something completely new and refreshing to the original Bob Dylan track of "Don't Think Twice, It's Alright," and each version conveys a different meaning. The original Dylan track is the classic tale of a woman not treating her man the way he needed, and the man leaving for greener pastures. With Dylan on his guitar and harmonica, the song has a mournful quality: the man sings of the things the woman could have done to keep him around, but at the end of the day he'll be fine. A perfect example of the complexity of Dylan's songwriting ability, one isn't sure whether to be happy for the man who is leaving his mistreating woman, or sad that the two never really worked out. In stark contrast, Billy Paul's cover conveys an angrier and stronger message. Billy keeps the same story, but injects a confidence and bravado that Dylan's version lacks. There is no hesitation in Billy's voice, no regrets, no second guessing. Once the piano comes in, you know Billy is off, and don't bother looking for him. Years after the Dylan track was recorded and then covered by Billy Paul, today's jamandahalf features a young rapper from Fresno, California. 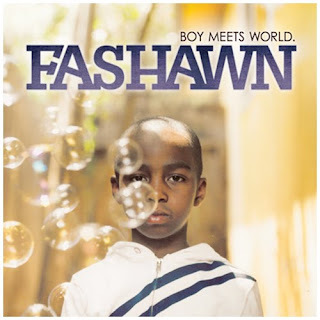 Only 21 but wise beyond his years, Fashawn released his debut album "Boy Meets World" in October of 2009. Produced entirely by Exile, who is quickly becoming the best producer out there, Fashawn's album is full of dope lyrics, great beats, and a completeness which was absent from most 2009 albums. On "Samsonite Man," Exile flips the Billy Paul version to provide a soulful yet bumping backtrack which lets Fashawn and fellow up-and-comer Blu tell the story of trying to make it in the rap game, travelling from one city to another, not sure where the next paycheck is coming from. While Fashawn and Blu both respect the struggle, and acknowledge the strange combination of skill and luck it takes to make it, neither are looking back. And that's good news for all of us. So which version do you like best? Let us know in the comments. Download Billy Paul's "Don't Think Twice, It's Alright"
Download Dylan's "Don't Think Twice, It's Alright"